If you have ever set a goal and failed to reach it you need to read this book. Over 90% of New Year’s Resolutions are abandoned by January 15th, but somehow the myth that setting goals will magically change your life persists in our culture. The idea of Anti-Goals is incredibly simple to understand and it actually works. Instead of setting a goal and hoping you will follow through (even though you know deep down that you won’t), with anti-goals you are actually just avoiding things that you already don’t like. What is the worst part of your day at work? For many people it is long meetings, for others it is the commute. When you create an anti-goal of “I don’t want to waste my time in meetings” or “I don’t want to spend more than an hour in the car every day”, it frees up your thinking to begin searching for answers. If you want a new perspective on what you can do to improve every facet of your life this book will help you get started. 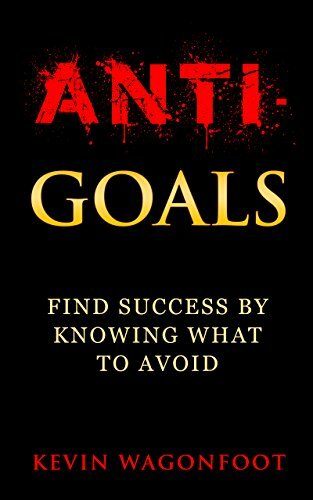 Buy today and get a free download of the most popular anti-goals for every aspect of your life.